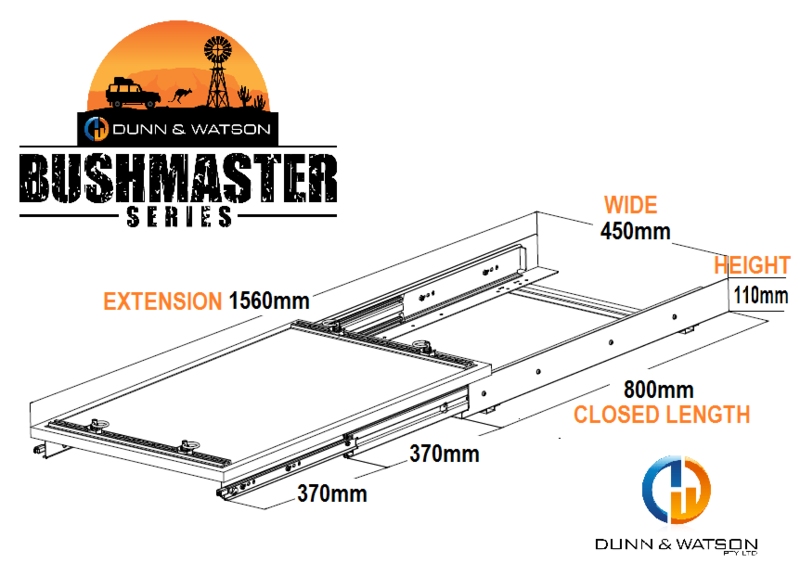 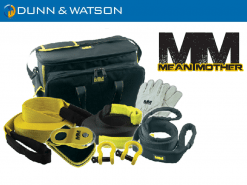 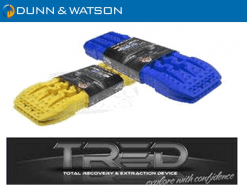 Dunn & Watson Bushmaster Series fridge slides are a great edition to any series four wheel driver. 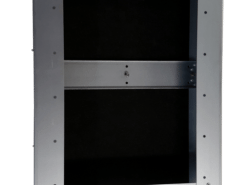 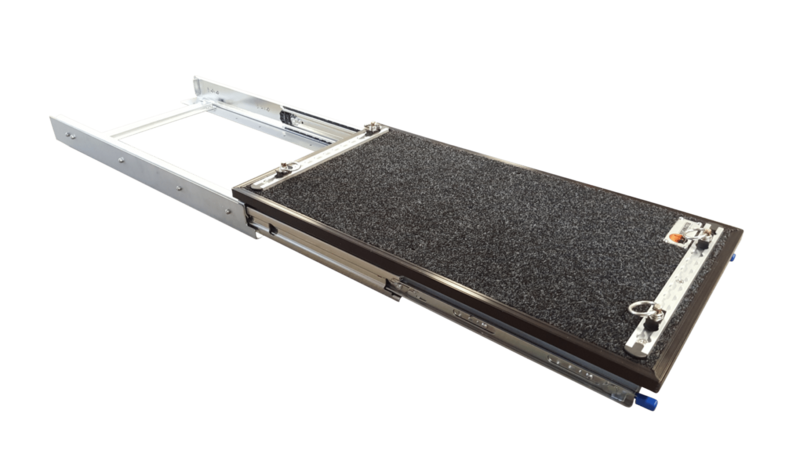 The units are built on our heavy duty locking drawer slides and have the unique design of the runners underneath the tray so you can have a fridge wider or longer and it will still operate. 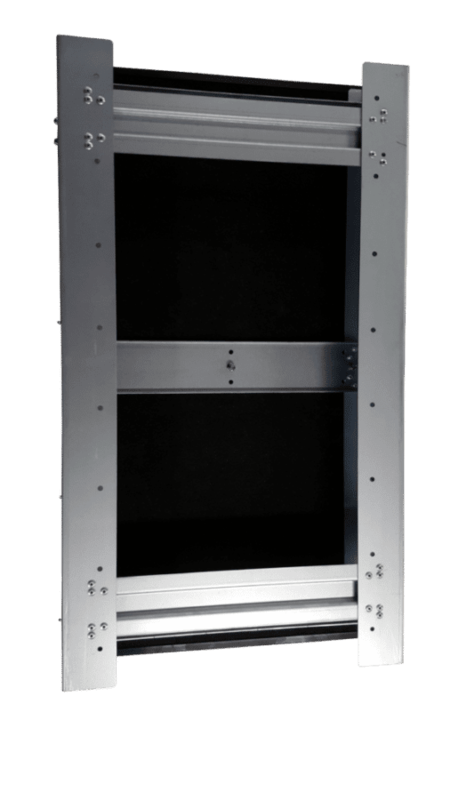 The adjustable tie down track also makes these units accommodating to all fridges on the market. 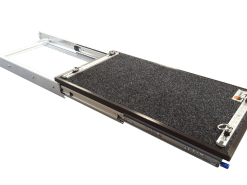 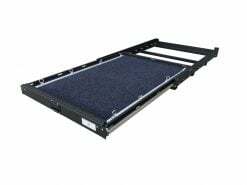 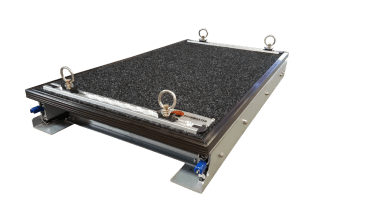 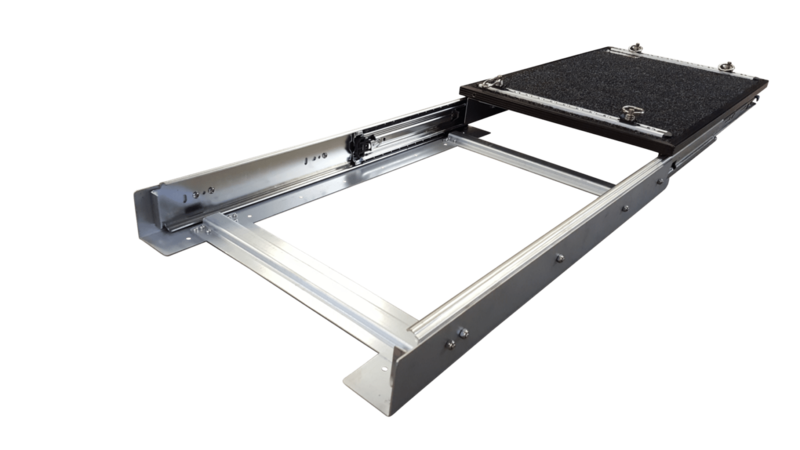 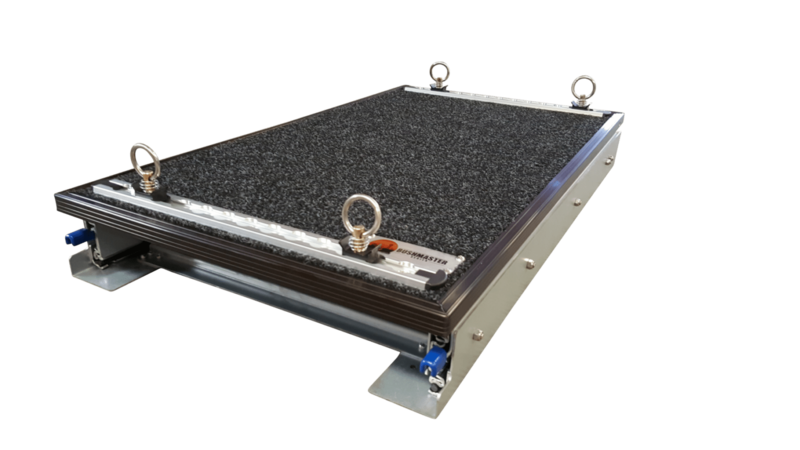 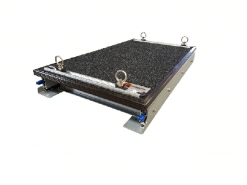 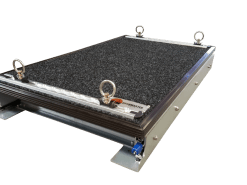 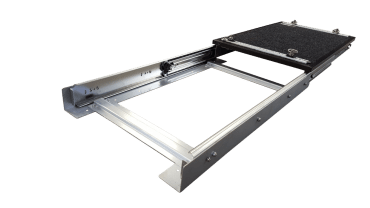 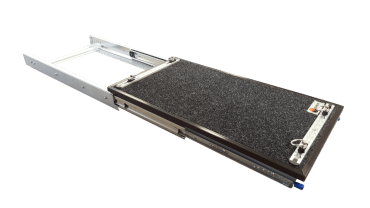 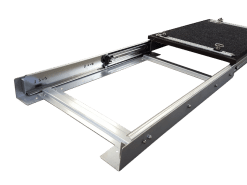 Heavy duty fridge slide ideal for any size fridge as you can move the adjustable anchor track to suit your unit. 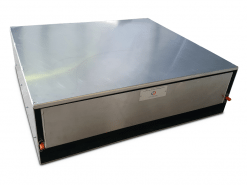 Made on 227kg drawer slides this unit can take whatever you throw at it. Carpeted top is not only aesthetically pleasing but helps with noise reduction and fridge movement. 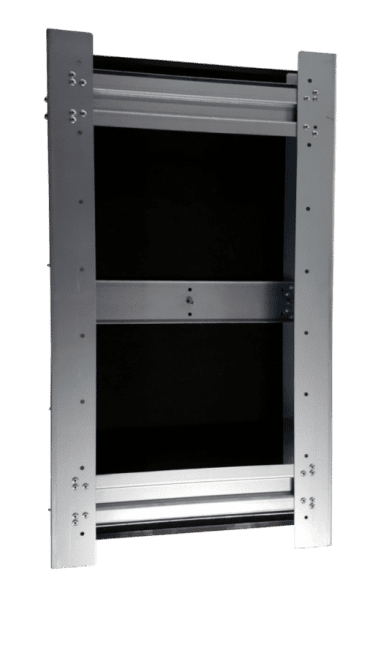 Because the tie down points are removable, when you take your fridge out of your car you can leave you points in the glove box and return the rear of your vehicle into a flat surface again and dont have to worry about the fridge slide tearing your shopping bags or scratching the pram , etc.